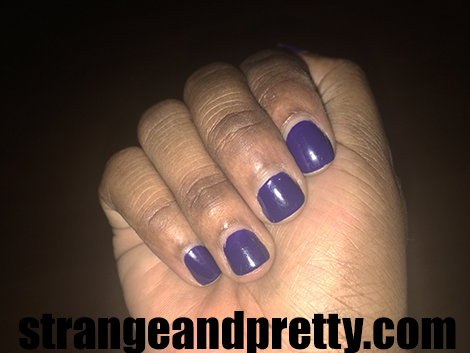 Strange And Pretty: Laquer Love: OPI Eurso Euro. Laquer Love: OPI Eurso Euro. I've been wanting a royal/cobalt blue polish for a very long time. I've found it in OPI's Eurso Euro. It's a simple creme polish with no glitter or iridescence and I love that. It's beautiful and I really need to wear it more often. I'm even matching my fingernails with my toenails with this color, that's how much love I have for it. I'm so glad I found this, and even with all my polish switch-ups, I know this will be a repeat offender on my nails.